SAN ANTONIO--(BUSINESS WIRE)--Mar. 4, 2015-- Abraxas Petroleum Corporation (NASDAQ:AXAS) today reported financial and operating results for the three and twelve months ended December 31, 2014. On October 31, 2014 we closed on the sale of our interest in Canadian Abraxas Petroleum, ULC ("Canadian Abraxas"), a wholly-owned Canadian subsidiary of Abraxas Petroleum Corporation. As a result of the disposal of Canadian Abraxas, the results of operations of Canadian Abraxas are reflected in our Financial Statements and in this document as “Discontinued Operations” and our remaining operations are referred to in our Financial Statements and in this document as “Continuing Operations” or “Continued Operations.” Unless otherwise noted, all disclosures are for continuing operations. Net income for the three months ended December 31, 2014 was $30.1 million, or $0.29 per share, compared to net income of $27.0 million, or $0.29 per share, for the three months ended December 31, 2013. Adjusted net income, excluding certain non-cash items, for the three months ended December 31, 2014 was $6.1 million, or $0.06 per share, compared to an adjusted net loss, excluding certain non-cash items, of $1.4 million or $0.01 per share for the three months ended December 31, 2013. For the three months ended December 31, 2014 and 2013, adjusted net income excludes the unrealized gain on derivative contracts of $23.0 million and of $0.2 million, respectively. Included in adjusted net income is the net income for the quarters ended December 31, 2014 and December 31, 2013 from our subsidiary, Raven Drilling, LLC of $0.8 million and $0.3 million, respectively. Net income for the twelve months ended December 31, 2014 was $63.3 million, or $0.64 per share, compared to net income of $38.6 million, or $0.42 per share, for the twelve months ended December 31, 2013. Adjusted net income, excluding certain non-cash items, for the twelve months ended December 31, 2014 was $39.8 million, or $0.40 per share, compared to an adjusted net income, excluding certain non-cash items, of $13.6 million or $0.15 per share for the twelve months ended December 31, 2013. For the twelve months ended December 31, 2014 and 2013, adjusted net income excludes the unrealized gain on derivative contracts of $24.9 million and $2.6 million, respectively. Included in adjusted net income for the years ended December 31, 2014 and December 31, 2013 is the net income from our subsidiary, Raven Drilling, LLC of $2.8 million and $2.7 million, respectively. Pursuant to SEC Regulation S-X, no income is recognized for Raven Drilling, LLC. Contractual drilling services performed in connection with properties in which Abraxas holds an ownership interest cannot be recognized as income, rather it is credited to the full cost pool and recognized through lower amortization as reserves are produced. Unrealized gains or losses on derivative contracts are based on mark-to-market valuations which are non-cash in nature and may fluctuate drastically from period to period. As commodity prices fluctuate, these derivative contracts are valued against current market prices at the end of each reporting period in accordance with Accounting Standards Codification 815, “Derivatives and Hedging,” as amended and interpreted, and require Abraxas to either record an unrealized gain or loss based on the calculated value difference from the previous period-end valuation. For example, NYMEX oil prices on December 31, 2013 were $98.42 per barrel compared to $53.27 on December 31, 2014; therefore, the mark-to-market valuation changed considerably period to period. Bob Watson, Abraxas' President and CEO, commented, "After a tremendous 2014 for Abraxas, we now enter a very tumultuous 2015 from a commodity price perspective. We remain focused on preserving our abundant liquidity and strong balance sheet, which we endeavor to use to our advantage in a distressed environment. We are also blessed with an attractive asset base that presents numerous opportunities to expand our capital program should commodity prices and service costs dictate. Although we significantly reduced LOE costs on a $/Boe basis in 2014, we look to continue that trend in 2015 by optimizing our operations in the current downturn. We look forward to updating the market on the results of some of these efforts in the near future." Abraxas Petroleum Corporation (NASDAQ:AXAS) will host its fourth quarter and full year 2014 earnings conference call at 11 AM ET on March 5, 2015. To participate in the conference call, please dial 888.713.4199 and enter the passcode 21930439. Additionally, a live listen only webcast of the conference call can be accessed under the investor relations section of the Abraxas website at www.abraxaspetroleum.com. A replay of the conference call will be available until April 5, 2015 by dialing 888.286.8010 and entering the passcode 67742028 or can be accessed under the investor relations section of the Abraxas website. 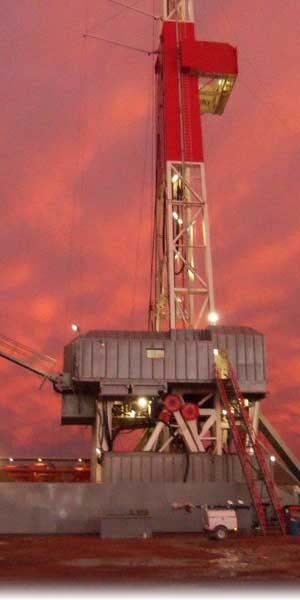 Abraxas Petroleum Corporation is a San Antonio based crude oil and natural gas exploration and production company with operations across the Rocky Mountain, Permian Basin and onshore Gulf Coast regions of the United States. (b) Includes Canadian Abraxas Petroleum ULC's production which was sold effective October 31, 2014 and is now considered discontinued operations. (a) Excludes current maturities of long-term debt and current derivative assets and liabilities in accordance with our loan covenants. To fully assess Abraxas’ operating results, management believes that, although not prescribed under generally accepted accounting principles ("GAAP"), discretionary cash flow and EBITDA are appropriate measures of Abraxas' ability to satisfy capital expenditure obligations and working capital requirements. Discretionary cash flow and EBITDA are non-GAAP financial measures as defined under SEC rules. Abraxas' discretionary cash flow and EBITDA should not be considered in isolation or as a substitute for other financial measurements prepared in accordance with GAAP or as a measure of the Company's profitability or liquidity. As discretionary cash flow and EBITDA exclude some, but not all items that affect net income and may vary among companies, the discretionary cash flow and EBITDA presented below may not be comparable to similarly titled measures of other companies. Management believes that operating income calculated in accordance with GAAP is the most directly comparable measure to discretionary cash flow; therefore, operating income is utilized as the starting point for the discretionary cash flow reconciliation. Discretionary cash flow is defined as operating income plus depreciation, depletion and amortization expenses, non-cash expenses and impairments, cash portion of other income (expense) less cash interest. Adjusted discretionary cash flow is defined as discretionary cash flow, plus cash flow from Raven Drilling’s operations. Accounting rules do not permit the inclusion of the net income and other components of Raven Drilling’s operations to be included in our consolidated results of operations and cash flow, instead, the results of Raven Drilling’s operations are credited to the full cost pool. Accordingly, for purposes of adjusted discretionary cash flow, Raven Drilling’s cash flow is added back. The following table provides a reconciliation of discretionary cash flow and adjusted discretionary cash flow to operating income for the periods presented. EBITDA is defined as net income plus interest expense, depreciation, depletion and amortization expenses, deferred income taxes and other non-cash items. Adjusted EBITDA includes all of the components of EBITDA plus Raven Drilling’s EBITDA. Accounting rules do not permit the inclusion of the net income and other components of Raven Drilling’s operations to be included in our consolidated results of operations, instead, the results of Raven Drilling’s operations are credited to the full cost pool. Accordingly, for purposes of Adjusted EBITDA, Raven Drilling’s EBITDA is added back. The following table provides a reconciliation of EBITDA and Adjusted EBITDA to net income for the periods presented. This release also includes a discussion of “adjusted net income, excluding certain non-cash items,” which is a non-GAAP financial measure as defined under SEC rules. The following table provides a reconciliation of adjusted net income, excluding ceiling test impairment and unrealized changes in derivative contracts and net income related to Raven Drilling, LLC capitalized to the full cost pool, to net income for the periods presented. Management believes that net income calculated in accordance with GAAP is the most directly comparable measure to adjusted net income, excluding certain non-cash items.